Available in two popular 16-inch sizes, these Goodyear Ribbed Motorcycle tires are excellent for restoration or custom motorcycle builds. These vintage Goodyear Motorcycle tires have nicely detailed sidewalls and classic ribbed tread design. 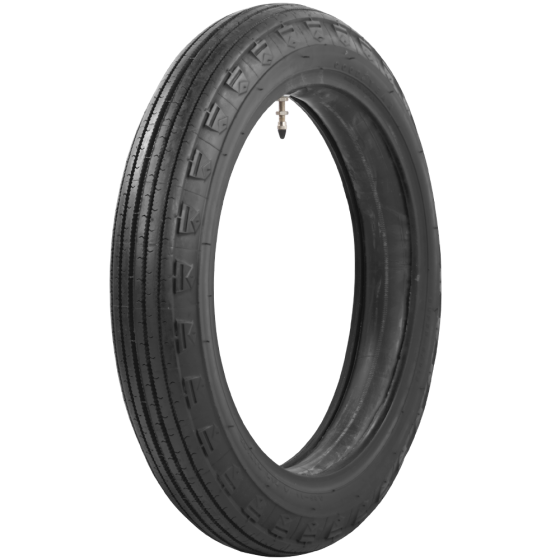 Classic Goodyear motorcycle tires with ribbed tread pattern are the tip of the iceberg in the huge selection of vintage motorcycle tires and tubes from Coker Tire Company. i want to replace a 130/90-16 with these. would they fit? These are smaller than the recommended 500-16 conversion size which is generally equivalent to the 130/90-16 size. The 500-16 is available here. 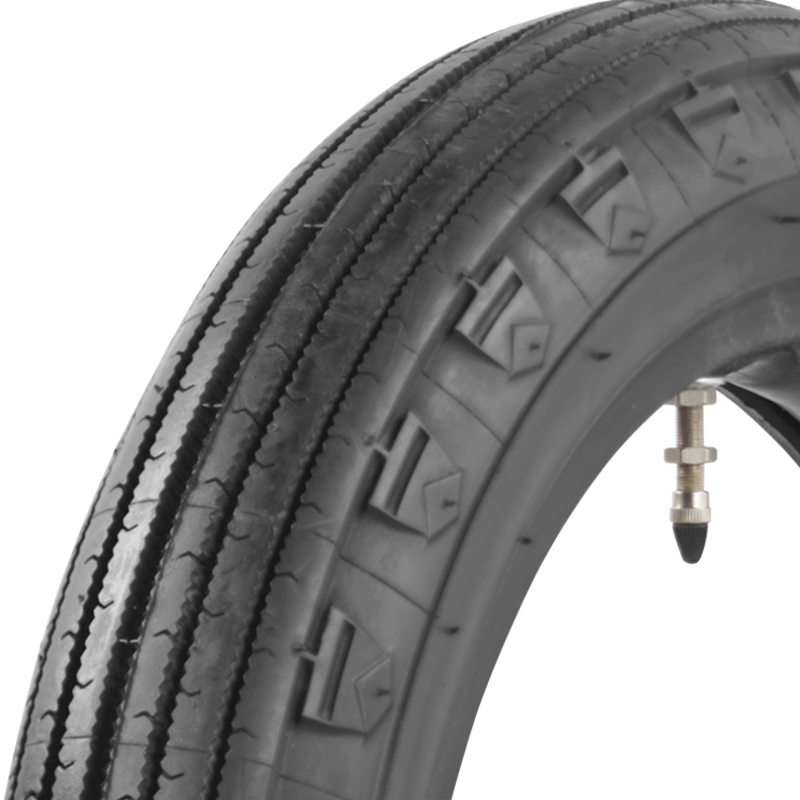 What is the diameter, cross section measurement, and the weight reting, and when were these tires made ? Please see the specifications tab for the desired size from the drop down menu for dimensions. These were made 20 to 40 years ago in Japan. They are suitable for static display, but not recommended for road use. Can you tell me more about your description of New/ Old stock on this tire? I mean what does it mean old? New old stock means that the tires have never been used and are still brand new, but have spent many years in the warehouse - usually over 10 years or more. Because of this they are best for use on display pieces and are not generally recommended for road use.